Closing time – a phrase immortalized by Semisonic in their 1998 pop hit. The song focuses on that moment late in the evening when the lights of the bar come up signaling that it’s time for the patrons to leave. But for those working in those environments – bars, restaurants, retail stores – closing time is just the beginning of the end. What I’m talking about is the closing routine that starts after the last customer leaves. Much of the really hard work begins here – the cleaning, scrubbing, tossing and organizing. It all needs to be done before the day is really over. The closing routine is a fundamental part of preparing for the next day, so it’s a process worth perfecting to maximize it’s effectiveness. The restaurant kitchen is a great analogy for this analysis, primarily because “Dishwasher” was the first title your humble author held in his working career. 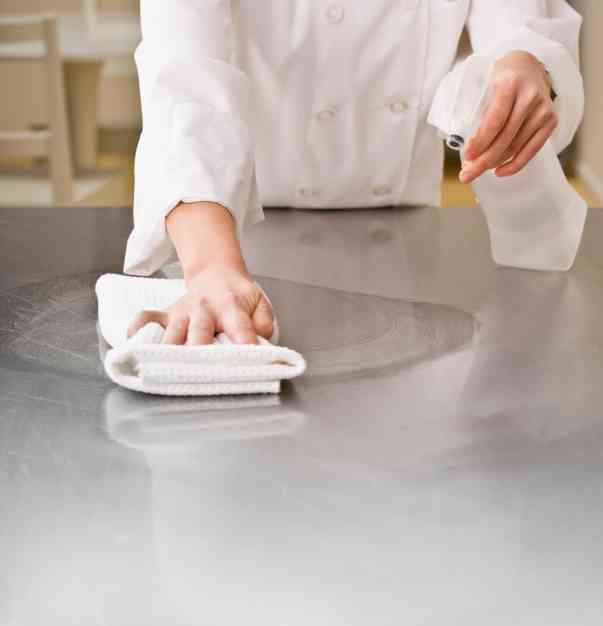 The cycle of productivity in a restaurant kitchen can be easily described as (a) prepare to cook, (b) cook, (c) clean up from cooking. Interestingly, (a) and (c) are interrelated. The kitchen staff arrives before the restaurant officially opens. They proceed to the kitchen. It’s spotless because they conducted their closing routine the night before. Last night all the food was sealed up and put away, the dishes were all cleaned and stored, the trash was taken out, and all the surfaces were wiped down. Today, the staff can jump right into prepping for the meals they’ll deliver to the diners once the restaurants opens. This is very productive. There’s no mucking about, just straight forward productivity. What if office workers performed a similar routine? What if we could sit down at our desks every morning ready to jump right into the day and get productive? How can we use a “closing routine” to get a head start on tomorrow – every day? There are many quick and easy things we can do as part of our closing routine. Each sets us up for higher productivity tomorrow. Here’s are some to consider. Read all unread e-mail. Commit to reading all unread e-mail before leaving each day. Doing so assures us that no brewing emergency is lingering in our Inbox. At least at the moment we walk out of the office we have the peace of mind that everything has been reviewed. Put all office tools away. Clean up the workspace. This is a decluttering activity. Treat your desktop like the work surface at a restaurant kitchen. When we leave, it should be free of debris. Not only is our workspace “quieter” as a result, the items we use regularly are stored where we can find them quickly tomorrow morning. Do one more (little) thing. Put some filing away. Respond to one (quick) e-mail. Return one (quick) phone call. One more little thing done each day equals 240 more little things done each year. That’s a lot of things! Shut it all down. Close all computer programs. Turn off the computer. Close all the drawers and doors. Turn off the lights. Put your workspace to bed. It has a terrific calming effect on your mind – it feels like the end of the day. Take Filing Out. If there are things that others need to handle – filing and the like – they need to leave our workspace when we leave. This is another task getting done at the end of the day that won’t take up time tomorrow. Restaurants and other businesses conduct a closing routine to accomplish two things: end today and prepare for tomorrow. The benefits are both quieting right now and invigorating tomorrow morning. Developing and following a closing routine in the office will deliver the same benefits. This entry was posted in Organizational Skills, Time Management, Workflow Processing and tagged end of day preparation, make tomorrow more productive today. Bookmark the permalink.